Now, this is definitely a mad road rage battle on a public road. I’ve probably never seen such a crazy and at the same time stupid road rage in my life — trust me, I’ve seen a ton of crazy road rage videos before — but this one goes to the top easily. 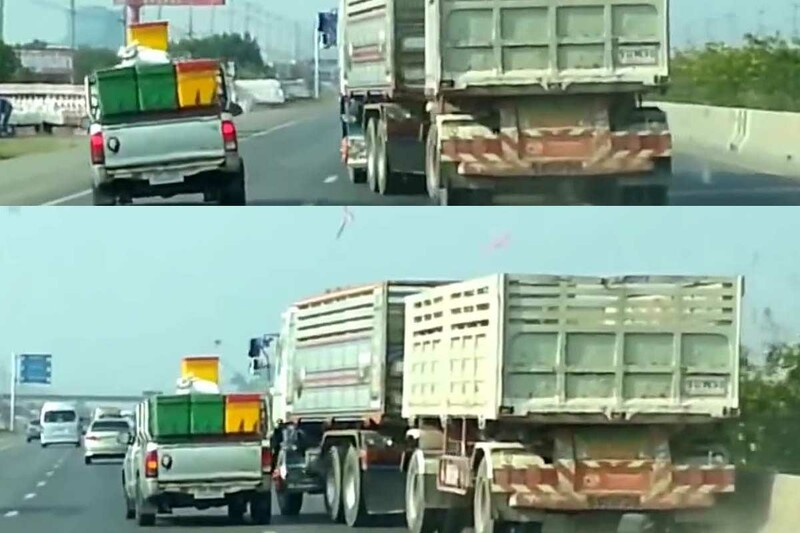 I can’t say that both of the drivers are stupid equally, because clearly, the truck’s driver is more mad. To drive such a big truck on the public road and do such stupid things is just plain stupid. Both drivers were arrested after the incident. And their driver licenses were taken too I guess (I hope so…).